Dwarfer than Abelia x grandiflora. 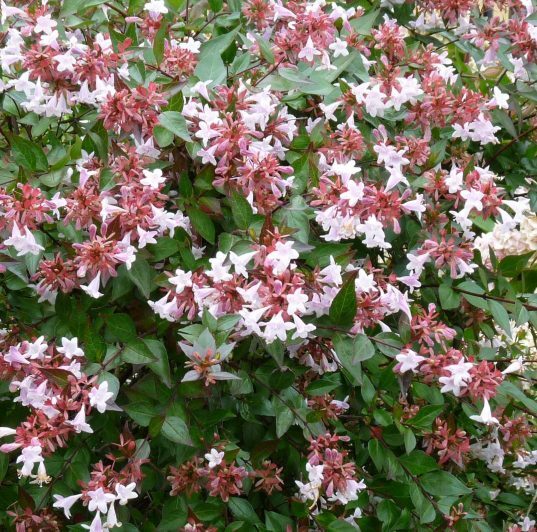 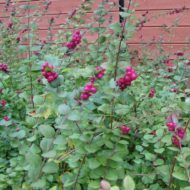 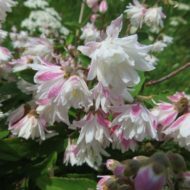 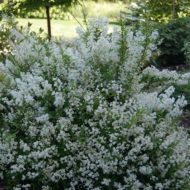 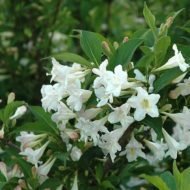 It produces white fragrant flowers that usually leave purplish or copper-colored sepals providing color into the fall months. 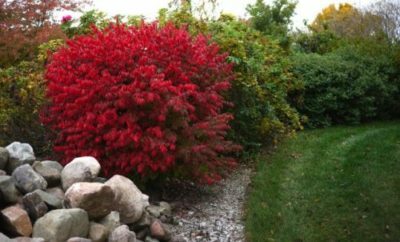 Leaves also may take on bronzy tints in fall.